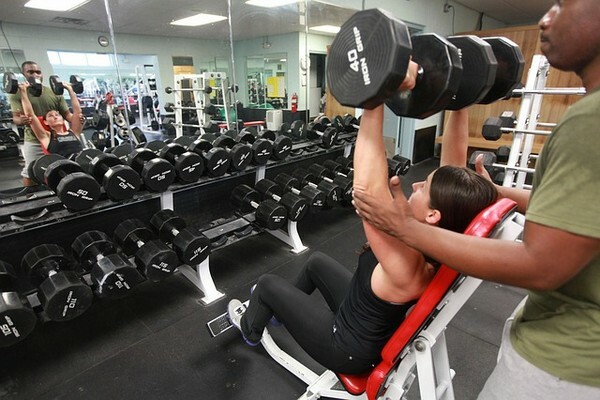 Could you use an extra $1000 a month? Would you be surprised if I told you your smartphone could actually help you do that?…. Your smartphone, with its initial price and monthly data plan charges, may not be the cheapest gadget you own. You may think that it continues to cost you money, but with the right apps, not only your phone can make you money, but it can also save you money by finding bargains, and cutting costs in your day to day life. Here are 9 apps that could help you reach your goal of saving a thousand bucks in a month. While text messaging plans cost around $10 to $30 a month, you could actually by paying a lot more if you go over your monthly limit. Free texting apps, usually, only allow you to communicate with other users of that app, but TextFree assigns a real phone number to you, allowing you to text anyone you want, irrespective of which carrier they are with. There is no limit to the messages, and you can send photo and video messages too. By using TextFree you can cut your monthly costs and still keep in touch. With Netflix, you can watch thousands of movies and television programs, together with a wide selection of kids programs, all for a bargain at just $8 per month. Since an average monthly cable bill is about $86, there is no better reason to get rid of your cable bill by moving to Netflix. You have the convenience of watching your programs on any smartphone or tablet. You can also watch programs on your television by connecting your iPhone or iPad by using the optional HDMI adapter. RedLaser is a comparison-shopping app where you can find the lowest price on items. It has a barcode scanner which can be used to find online and local stores that sell what you are looking for. You can, of course, type in the name of the product you are after if you don’t have a barcode to scan. It turns you into a savvy shopper by providing you with both online and local findings to help you locate the deals that are related to your search. People who usually file a 1040EZ or 1040A can skip the long wait and high fees at their local tax prep office by using SnapTax, a free app that makes filing your taxes straightforward. Simply take a photo of your W-2, answer a few easy questions, and you are ready to send your return to the IRS, directly from your smartphone. 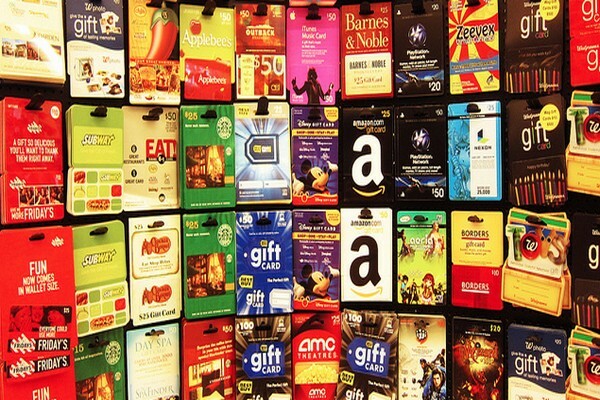 You can actually earn a few bucks while you are spending money doing your daily errands. The EasyShift app connects companies in search of mystery shoppers (these are people who visit a business and provide feedback on a certain aspect like how products are displayed). Tasks assigned to mystery shoppers involve doing things like taking photos of displays at a grocery store or confirming the prices at a retail store. You generally get paid around $3 to $8 per task. Once you have accumulated enough earnings, you can cash out. By using your phone’s inbuilt GPS, GasBuddy lets you know the gas prices at stations near you, so you can avoid overpaying when you fill up. It’s fantastic to use during road trips as it provides directions to the station of your choice. I explained this in more detail in my recent saving money on gas post – the prices are crowd-sourced and the time stamps show you when they were last updated, so you don’t drive around looking for a low price that’s not there anymore. If you are a traveler who enjoys experiencing how the locals live, you can actually live with the locals, and avoid over-priced hotel rooms. Airbnb links hosts wanting to rent their spare room, or even a whole apartment, for a much cheaper rate than you’ll get at a hotel. You can read reviews written by the host’s previous visitors to make sure you’ll be comfortable there. The app also includes a wish-list function so you can plan your next holiday well in advance and save the places you’d like to visit in the future. Keep a track of your savings and expenses by connecting your accounts to Mint.com. You can easily check your current bank and credit card balances, monitor your spending, and set up a budget to stay in control of your finances. You can add low balance notifications to alert you when funds are low in your bank account, as well as reminders for credit card payments so you don’t incur those unnecessary late payment charges, thereby saving you money and protecting your credit score. Calling overseas can put a damp on your budget. I should know–I call my mom and brothers back home (Iran), and even though I use phone cards, it can still get expensive. 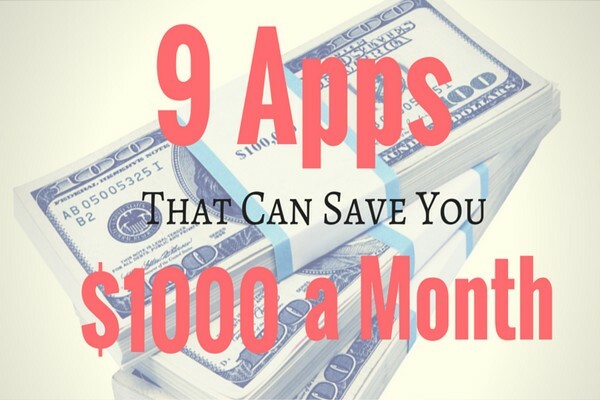 These apps on their own may or may not save you $1000 a month depending on how much you are spending now with your bills and monthly expenses. 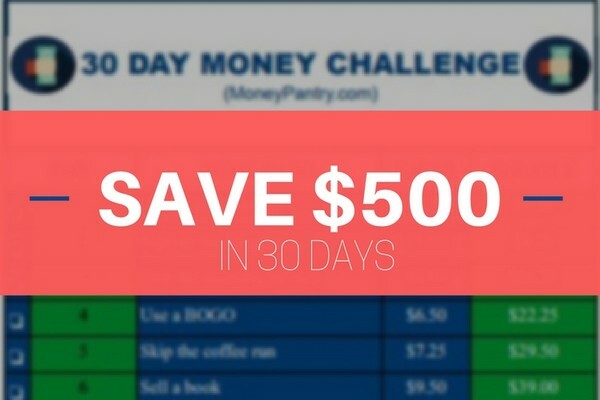 But combined with other little things you can do here and there, these apps can certainly help you reach that goal of saving 1000 dollars (or more) every month. Thanks for putting the article together! Of course I could use an extra $1,000/month. What has amazed me most with this new tech era is that it encourages people to buck normal trends and find ways to lower costs. Almost every example in your article is an alternative to a more expensive established commodity. Uber to taxis, Netflix to Cable, Airbnb to hotels. All were stemmed from people that were tired of the lack of options and being forced to pay a high dollar amount. There are so many great ways to save out there! you are very helpful people. Thank you, Emmanuel. We’re glad you like the post.